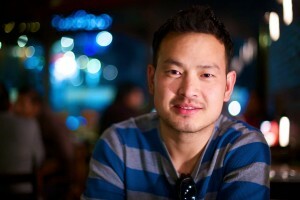 Born and raised in Nepal, Veemsen Lama is no ordinary umpteenth London-based filmmaker. From a very young age, Veemsen developed a passion for storytelling, and so at the dawn of his adult life, he promised himself to do all it would take to make his dreams come true. That notably meant enrolling in the British Armed Forces, which he served for several years. Once he had taken and passed all of the rough tests to become a Gurkha, Veemsen finally set foot in England. In September 2013, Veemsen thus started studying Digital Film Production at Ravensbourne in London. Now a fresh graduate, the young filmmaker is working freelance, doing camera operator jobs, music videos, wedding videography and photography, and so on and so forth. When it comes to his films more specifically, Veemsen Lama is eager for stories about love and hope, which he wishes can inspire others whose life is being dark and cruel. He’s therefore engaging with the drama, romance, but also horror and action genres a lot. After the success of his graduation short film, MAYA, which was nominated and awarded at numerous festivals around the world (including Raindance; BKSTS, where it won “Student Best Film of the year 2015”; London Short Film Festival; Berlinale; Screentest Student Film Festival, where it was nominated for “Best Drama”; London Independent Film Festival, where it won “Best International Short Film”; One World Media Awards, where the film’s been long-listed; Valletta Film Festival, where MAYA is up for the “Triton Award”; and most recently L.A. Cinefest), Veemsen Lama has recently been nominated for ‘Best Director’ at the 2016 Ouchy Film Awards, and he and his crew have just come back from Mustang (Nepal), where they shot the film director’s upcoming short, Chyanti. Now at the head of his own independent film production company, namely Javiya Films, Veemsen is prepping for his debut feature, with his closest collaborator and producer, Tom Cullingham, at his side.